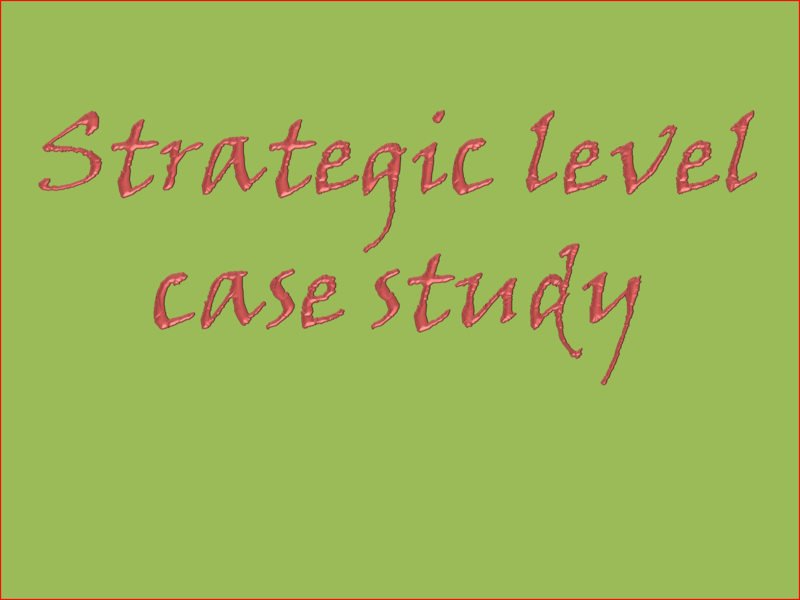 Why You must plan for CIMA Strategic case study exam ? 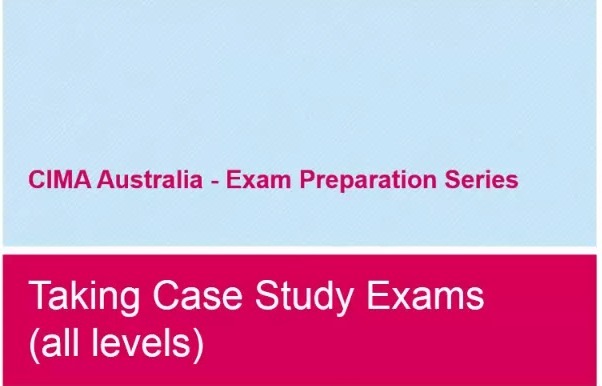 Nick Best of Astranti Financial Training Guides you through the first few pages of the May 2015 CIMA SCS Preseen Material in preparation for your Exams. 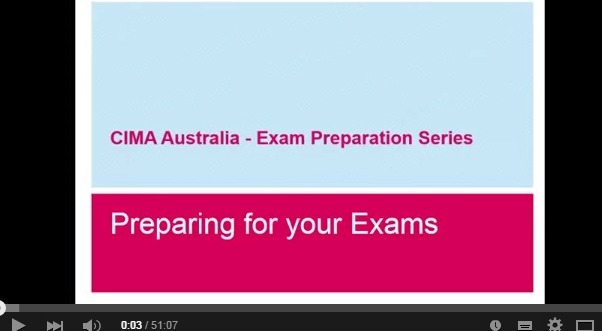 How to prepare for a New CIMA case study exam ? 1. How is the SCS examined? Doing well at the SCS means getting to grips with the exam format and style. 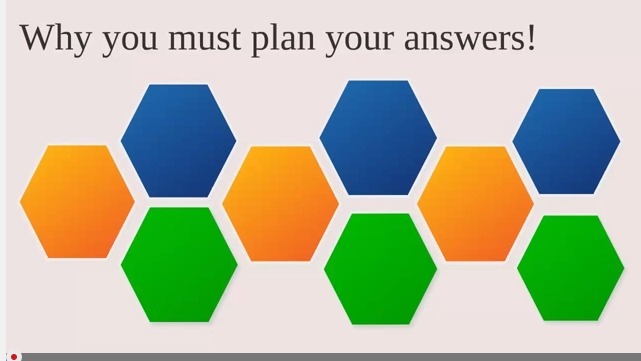 It's a computer based test, which requires you to analyse preseen information before the exam, adapt to new information in the exam, and put that together with your theoretical knowledge from E3, F3 and P3 to advise at a senior level within an organisation. It's critical then that you understand more about how the SCS is examined and so in the next few sections we'll take a look at some basic facts about this exam of which you must be aware and combine that with our advice on what this means for you in terms of how you approach the exam and how to use that knowledge to help you to pass. Let's get straight on to our first topic then, time! The exam is 3 hours in length if you take the full time available in each section. There will be 3 sections to the exam each with their own individual amount of time allocated. While the average length of each section is, of course, one hour in length any one section could be either longer or shorter in length. Once you've ended a section you can't go back! Once the time allocated for a particular section is completed that's it! The computer will automatically close that section and you will have to move on. You will not be allowed to write any more and you will not be able to go back to that section later on in the exam. If you choose to end a session early, then that's it too – no going back, even though you had some time left on that section when you stopped doing it. You have to do the 3 sections in order – there is no choice to do the section you like the best first. Ideas you have later on can not be added in either – you have to get it right first time! While there will be 3 main sections, the requirements within each section may require you to complete sub-sections for each as you progress. So for example on the CIMA Pilot Exam, given to students prior to the first exam, every one of the examiner's solutions included two main sub-sections to be done within the overall time for that section. So, for instance if the first task had an hour time limit, two sub-sections would needed to have been done in that time. No timing guidelines will be given for sub-sections so you will need to manage your time effectively for those, estimating how important each section is and how much time you will allocate to them. This is a highly time-pressured exam with new information to be taken in, planning to be done and advice to be given all within restricted deadlines and so it is a real test for your time management technique. We will show you how to master your time in our time management chapter. It may well be the most important skill you need to master to pass. All exams are computer based and must be sat at a Pearson Vue study centre using the Pearson Vue system. 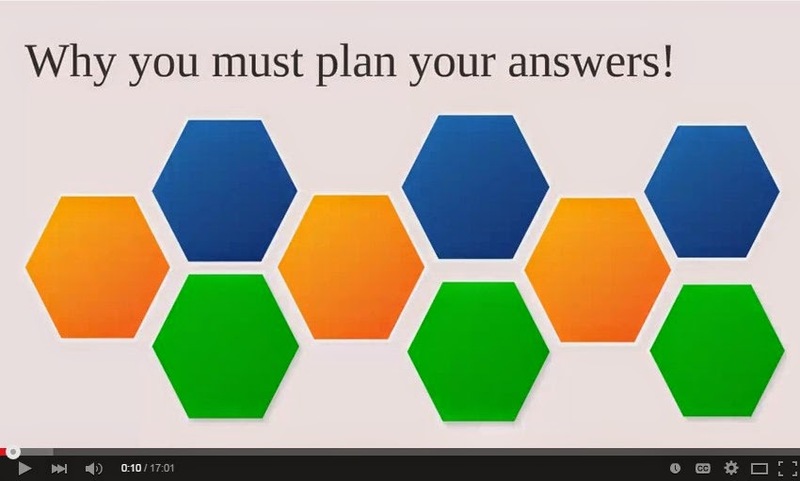 Unlike the 'computer-based' exams prior to 2015 you do not do the answers on a word processor or spreadsheet but instead must type your answers directly into the tailored Pearson Vue exam system. This system is like a highly simplified word processor with very limited functionality. There is no facility to use any kind of spreadsheet in this system. It is important that you familiarise yourself with this system prior to the exam. The Astranti mock exams are designed to emulate the Pearson Vue system as closely as possible, but it is also advisable that you sign up for the sample exam that is provided by Pearson Vue and CIMA and have a 'play around' with their system to ensure you are familiar with exactly what you will be faced with in the exam. This is an important task to add that to your to-do list! CIMA insist that this exam is not a test of typing speed and that an average speed of 20 words per minute will get you an answer long enough to be a good pass. While that may be true, our experience of computer based case studies going back to 2006 when they were introduced is that the longer the scripts the more points that could be made and the greater the level of depth that the students go into. Longer scripts normally do score higher! As such it is vital that you aim to type as quickly as you can and write as much as you can without compromising on the quality of your work. For the majority of CIMA students who use computers regularly, most from a very young age, tying speed will not be a barrier. Some CIMA students come from countries where PC use is not a part of their everyday activity and if you think this might be you then it would definitely be advisable for you to to practise your typing to improve it prior to the exam. Your goal should be to get to a minimum of 20 words per minute. Ideally though, the faster the better! If you want to find your own typing speed then just search online using the term “test typing speed” and you will find a host of free online typing tests you can take to test your speed along with a range of tools to help you improve. The exams are scheduled over a 5 day period, known as the 'exam window', with morning and afternoon sessions on each day. Everyone sitting the exam on the same day will sit the same exam, but will sit a different exam from the ones sat by people taking it on other days. That's important so that people who sit the exams on one day are not able to tell those sitting the next day the content of the exams. “But how is that fair?”, I hear your cry! “What if my exam is harder than the one sat by other people?” Well, CIMA will undertake a levelling exercise and ensure that on average people are not penalised for having had the harder exam. The long and short of this is that you could score 55% in your exam in real terms, but be given a passing mark of 60% or over if your exam was found to be really hard by the people taking it that day. But what does that mean for you and your exam? Well, you may think you're exam is particularly hard, but if that's the case don't worry too much, as you have to remember that you are really only competing against the other people taking the exam that day. Your goal will be to get into the top group of people taking that particular exam. That means that you need to work hard in your exam, getting to the end of it, and doing the best you can possibly do, whatever you are faced with. This will be key to maximising your chances of passing. Conversely, don't get over confident if your exam is easy, as the marks may get downgraded. Again you need to do the best you can. Don't be complacent and keep going through to the end eking out every mark that you can. You might actually find that you need a much higher mark than 60% on that paper to pass if everyone else finds it easy too! In a later chapter we will examine each element of that role and break down what it means for you and the answer you provide. The pass mark is 60%. That's a tough target and higher than the 50% that used to be required in exams up until the change in 2015. However, do not be fooled by the figure itself. In conjunction with changing the pass mark, CIMA also changed the way the exams were marked. As a whole it should prove no harder or easier to become a CIMA qualified accountant that it was before the change. Technical skills demonstrate your knowledge of the theory from the E3, P3 and F3 exams. SCS takes you beyond the requirement to perform specific calculations or a straightforward demonstration of knowledge as is often tested in the OT papers and instead tests your ability to use theoretical techniques to analyse the situation, explain the benefits of applying certain techniques to the scenario or to interpret the findings of a previously prepared analysis or report. 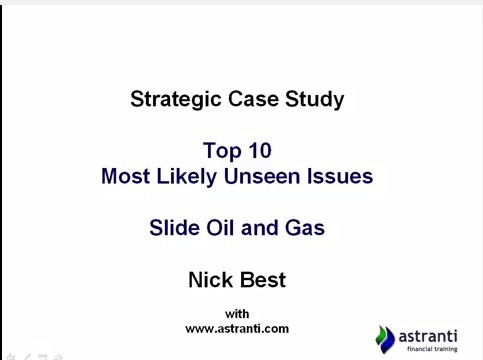 Strong analysis with good logical recommendations show your ability to apply good judgement to the case study. Business skills marks are awarded for showing good business awareness, which can ultimately be tested by asking whether if presented to a real life board of directors or CEO whether your report, memo or email would make good practical business sense and whether they would act on your findings. People skills include good communication, persuasion skills and understanding the needs of others. You will earn good people skills when you show this in your report alongside meeting the specific needs of your role, which, as we discussed earlier include analysing strategic options, making logical recommendations, analysing risks, and looking at financing options. Leadership skills marks are given for solid, logical business advice as you might expect from a leader of an organisation or team, considering the wider strategic implications of a decision, including the management of change, shareholder impact, consideration of competitive position, impact of markets and links to customers, links to quality, production and suppliers. These four headings can seem quite broad, particular some of the generic statements under people skills and leadership skills. It is important then that we break this down into specifics. What exactly do you have to do in your answers to score these marks. We'll be looking at this in more detail in our chapter on marking to guide you towards the way to maximise the marks you earn under each section. 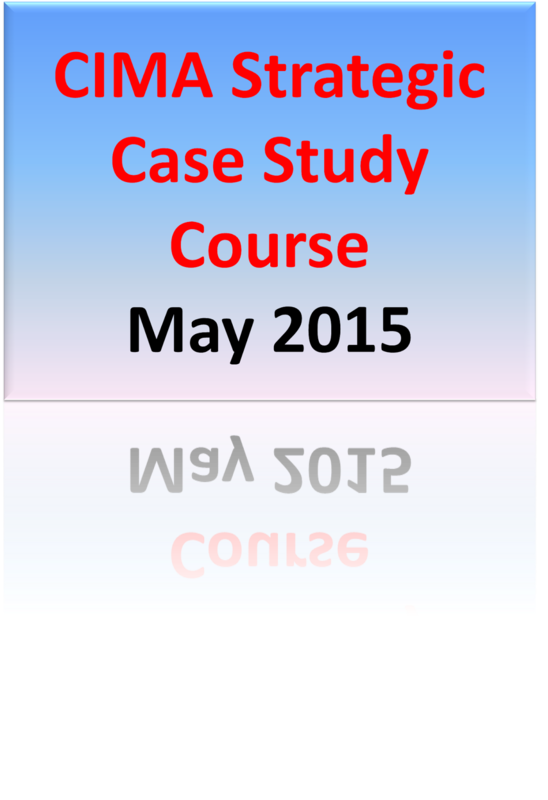 Your exam will be based around a case study of a company. A wide range of information will be available about the company and this is made available to you about 6-8 weeks prior to the exam. You must know and understand this preseen information and have undertaken a full strategic analysis of it applying it to all the strategic subjects, so you are aware of the key issues facing the organisation and are ready to apply it to the questions you get in the exam. Your preseen analysis though must NOT be the focus of your answer on exam day. It is there to enable you to view the unseen requirements in the context of a good understanding of the business, just as a managing director of a business is able to deal with new issues with a deep understanding of their own company. Use that knowledge to provide logical business advice. As a Senior Manager’s job role is mainly externally focused the preseen information will be predominantly ‘external’ information, but with appropriate ‘internal’ information to help you understand the company's position and put that external information into context. CIMA aim to take information about the industry in general from data the public domain but it will be tailored to the specifics of the case study company.